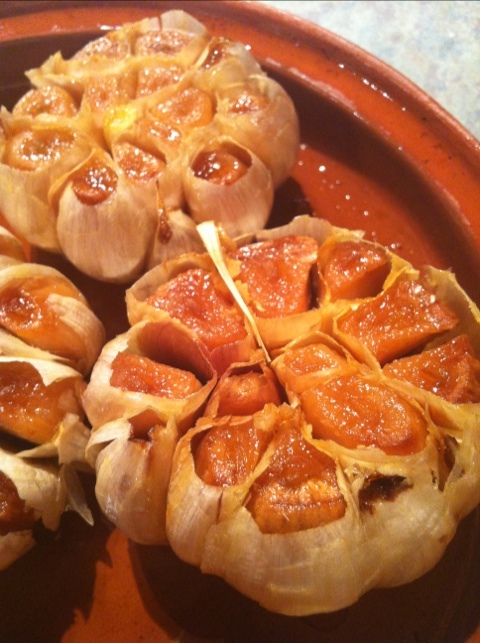 If you already know how to roast garlic, then merrily skip on past this post of mine. I use roasted garlic in so many recipes. So so many. If you’ve never roasted garlic, or you simply want step-by-step how-to instructions on roasting this marvelous member of the allium family, then read on, dear soon-to-be-enlightened reader! Roasted garlic tastes quite different from fresh garlic. 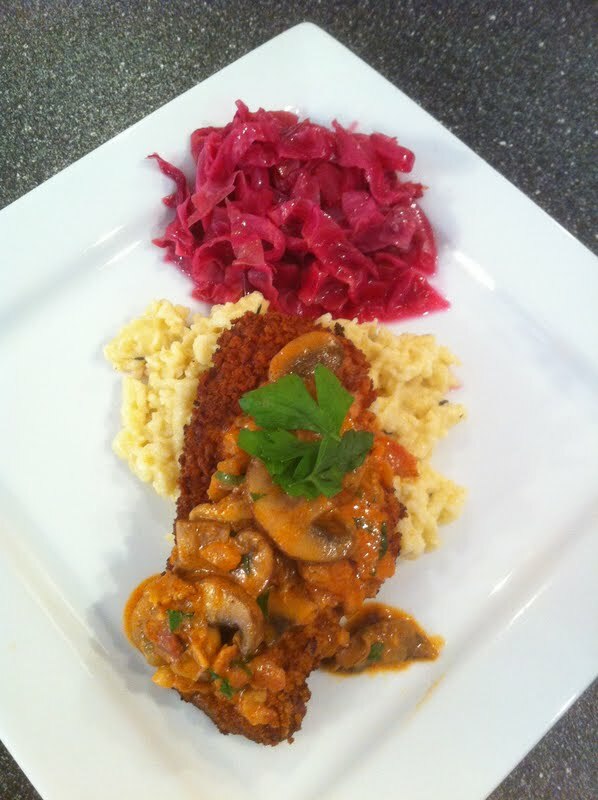 The cooking brings out a mellowed flavor, savory and almost buttery in texture. The taste is exquisite. I’m even guilty of eating it fresh from the oven, plain. Don’t judge. It’s amazing! 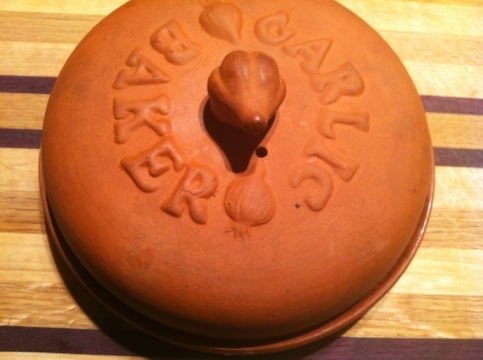 Something to know: fresh garlic like I show below is a bulb of garlic, also known as a head of garlic. Each individual part of the head is called a clove. 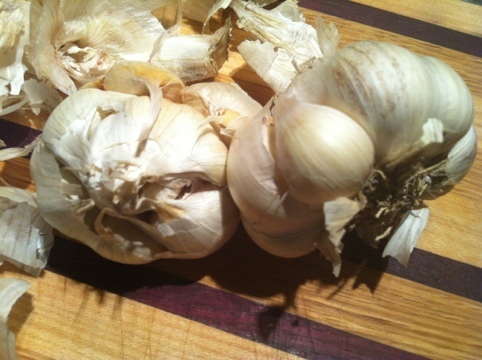 Something else to know: garlic has antibiotic and antifungal properties. 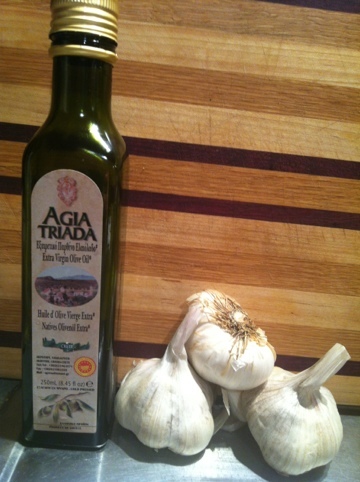 I used: olive oil & organic garlic. …but a pie pan covered in foil would work just fine. When ready, you can handle the garlic a few ways. 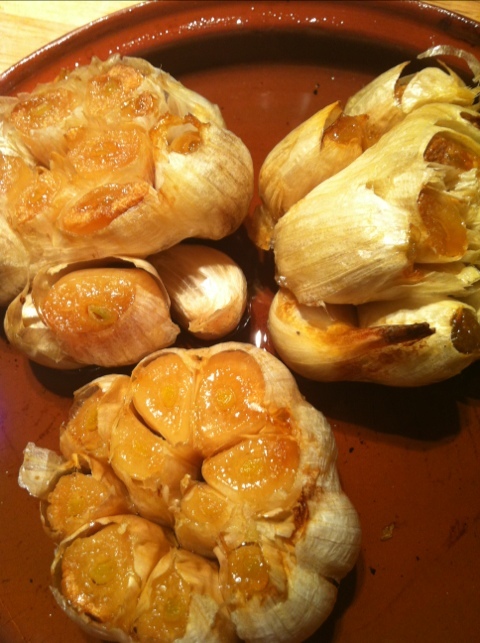 You can slice the outer skins and pop the cloves out, or you can just squeeze the roasted garlic out. Now comes the fun part! You can add it to almost any dish. 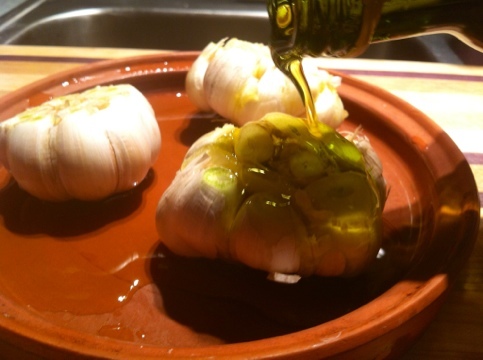 Pasta dishes, sauces, garlic bread, meat dishes, casseroles, added to oil for garlic-infused oils, or anything else that would benefit from a flavor kick. Posted in basics and tagged basics, cooking, Garlic, gluten free, how to roast garlic, roasted garlic. Bookmark the permalink.